OpenShot Video Editor is a free, cross-platform and open-source video editor built with Python, GTK, and the MLT Framework - that designed with a focus on "User Interface", "Work flow", and "Stability". OpenShot Video Editor feature-rich editor can take your videos, photos, and music files and help you create the film you have always dreamed of. Easily add sub-titles, transitions, and effects, and then export your film to DVD, YouTube, Vimeo, Xbox 360, and many other common formats. 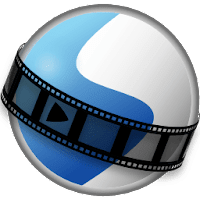 OpenShot Video Editor is based on FFmpeg which allows support for commonly used codecs like WebM (VP9), AVCHD (libx264), HEVC (libx265) and audio codecs like mp3 (libmp3lame) and aac (libfaac). The program can render Blu-ray and DVD video, and Full HD videos for uploading to internet video websites. Disclaimer: Direct downloads for the lastest version of OpenShot Video Editor 2.3.1 are provided by the official software's author, we can't guarantee safety, availability or download speed. Moreover, we don't and we won't provide any pirated/illegal versions or tools. We recommend you to avoid it as these methods can harm your device. If you like the software, buy it to support the developers. (We provide software discounts for many worldwide brands).